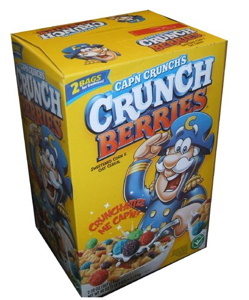 DTQ: How Much Crunch Berries Does It Take To Fly To Africa? I was flying back to DC yesterday and a very nice young mom and her 16-month-old son lap babied in my row. Then the middle seat was open, so we all relaxed a bit. I wished there had been a chance to tell her of our great discovery, flying with a car seat, that you bring it and gate check it at the last possible minute in case there's an empty seat next to you, where you can install it. But it turns out they were flying to Africa, via Brussels, for a visit. An incredible-sounding journey, and one they were undertaking with confidence, it seemed. The mom pre-apologized to the people around her, which turned out to be as unnecessary as it was shrewd. The kid did pretty well on the first and shortest flight of his trip. The only concern I had was that he was eating his Crunch Berries out of his little snack cup at such an amazing clip, I worried he'd run out. 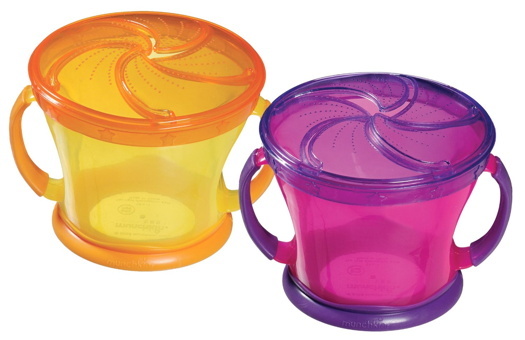 Even though his mom had a gallon-sized Ziploc bag with what looked to be an entire box of Crunch Berries in it, which she used to top the kid's cup off every, oh, 45 minutes or so. I'll admit I haven't been to the Brussels airport for a couple of years, but I know I didn't see any big boxes of Crunchberries the last time I went through. And I highly doubt there are any Crunchberries at all in Uganda. So how are they ever going to make it back? And thus, my question: how many boxes of Crunch Berries can a 1.5yo kid eat during the course of a 36-hour travel day? Because my answer turned out to be way off.